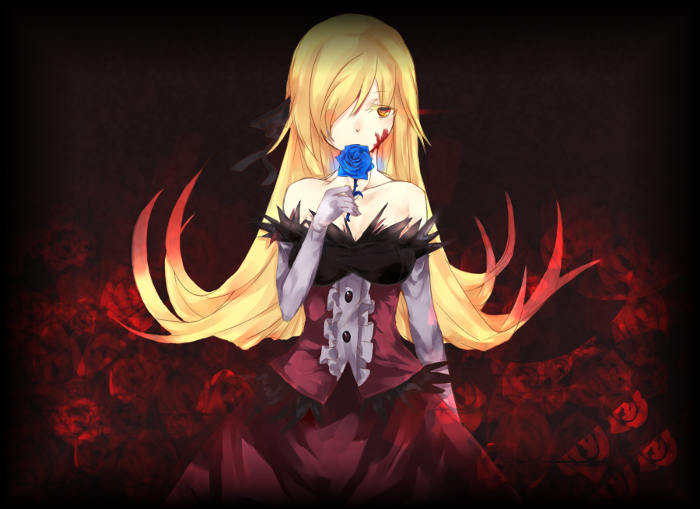 Physical Description: Aurelia has long, wild golden blonde hair with a triangular fringe at the front that barely touches the ridge of her nose (Sometimes it will shift to cover up the right side of her face), and the back length reaching down just past her buttocks. 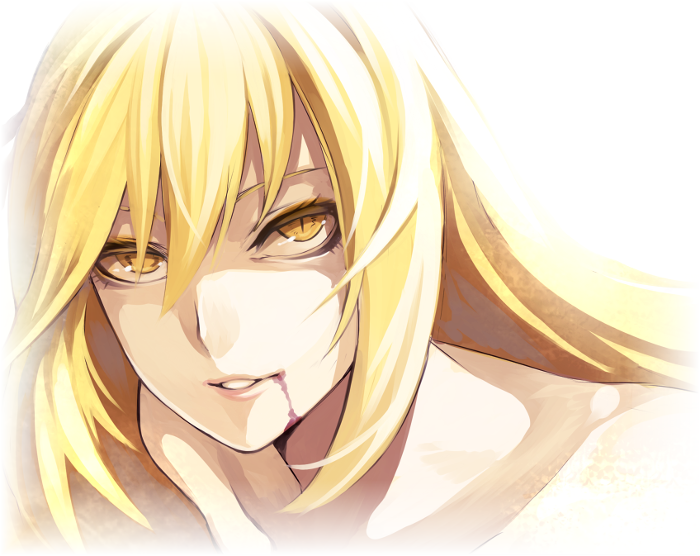 Her most striking features are her golden slitted cat eyes (Which are really creepy at night) that mark her as a faunus, and her eighty three centimeter bust that sometimes is seen wanting to burst from her top. Her relatively long limbs contribute leverage and reach to her hand to hand fighting style which could be described as a combination of boxing, kick boxing, and wrestling. Physically, she weighs in at a hundred and twenty three pounds and stands in at a height of five feet eight inches. She doesn't do much to improve her appearance, not being one for piercings or other body modifications. She doesn't usually change her hair style, usually just letting it do what it wants within reason. Jewerly isn't a comfort that she would care to afford, and makeup should be used in moderation. She tends to accentuate her eyes with eye liner, anything more and she might as well paint her face. However, starting at her navel, there are large scars tracking up her chest and wrapping around her back. A token of her childhood during the fall of Vale, the distinctively look like claw marks. Clothing: Aurelia wears a sleeveless cream colored blazer over a low cut black shirt. Over the former is a black article of clothing that consists of a raised collar, a strap across her collar bone, and mid-length sleeves that are folded back and gold at the end. Just under her bracelets she wears a pair of black, fingerless gloves. Starting at the waist she has a pair of crooked black belts with gold accents across her hips, and a purple piece of fabric with lilac lace around the edges hangs from her left hip. Just peaking below the cream top is a black mini skirt. Below that are suspenders attached to her thigh-high black stockings, which have her families burning heart emblem printed in yellow on the outer side of each leg near the top and a row of several gold pyramid studs above each knee. At the bottom she wears a pair of black greaves with a series of belted straps across them. On the back of each greave at the top is a large cream ribbon tied into a bow. History: Aurelia was born into a family with a long history of being Hunters. They were well known for their differing hand to hand combat styles and amazing physical based semblances. Aurelia's father was no different, he didn't use weapons or armor, but rarely every took a scratch of damage. It was said that his skin was harder than iron and couldn't be penetrated. Her mother was also equally skilled, though being married from outside the family, she had been known for her versatility. Her weapon took on a variety of forms, though essentially one large blade, it could be taken apart into eight smaller blades and hard a variety of firearm forms. She was good with technology and making weapons. However, like many weapons, when the war hit, they were put to the ultimate test. Being called to service, she for almost a year of her childhood, rarely saw them and spent allot of time with her extended family. During the final push of the war when the Black Dread came to Vale, her father was a part of the main platoon responsible for distracting and taking him out. Her mother not one for endurance but following the archetype of a glass cannon was stationed elsewhere. During the final battle on Vytal, his ultimate defense was put to the test. Though assumed dead in the explosion, due to the lack of body he is listed as M.I.A. Her mother was a part of the evacuation detail. Though with the death of her husband and Aurelia’s father, she retired form the front lines of a Hunter and became a teacher at a hunter school where she focuses on weapon creation, maintenance, and usage. Aurelia believes now of days that there isn't a single weapon she isn't a master of, though that could be easily debated. Aurelia herself fought a Grimm during the war, though it didn't end well for her. A group of Grimm attacked them in the middle of moving through the forest to the evac point. Allot of citizens died during the attack. The Hunters had no idea that the Grimm were lying in wait. Though the group survived, there were unto casualties. Aurelia was almost one of them. The marks that the Beowulf had left on her left large scars that could be easily seen today. She had died from blood loss in a hospital later only to be revived and kept in critical condition for more than any parent should have to endure their child being in. The damage she suffered had a few organs replaced with technology along with her infertility. Though she would never say it aloud, she will probably be the last in her long standing family. Of all her memories, the death she witnessed that day haunts her most of all. These events lead to her increasing her efforts in becoming a hunter. 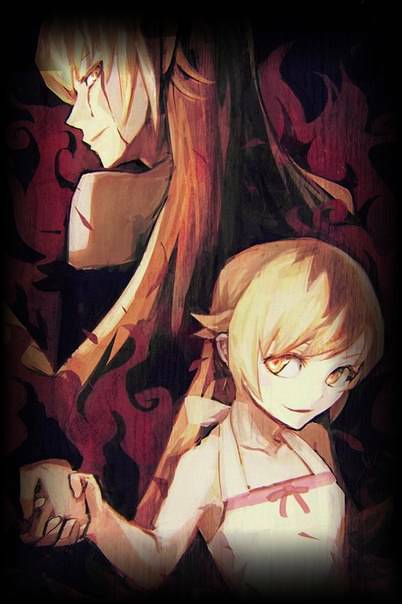 Though it wasn't always so obvious in these times of peace, the Grimm were always an ever present threat to humanity and at any moment something could spark their attack on humanity again. She wouldn't ever be caught unprepared for it again. Now of days she attends one of the best, if not THE BEST Hunter school of remnant. But her training and life has not been without difficulty. Here once team of four TARA has since then been diminished to a team of three. Though officially they are still team TARA, they have taken to referring to themselves as ARA. Their fourth teammate and leader was killed on missing by one of their current teammates. Though details are scarce and are recorded heavily documented, no one at the school besides their team knows the full details of the events. Years have passed, her team has graduated from school, and she is know a full blown huntress. 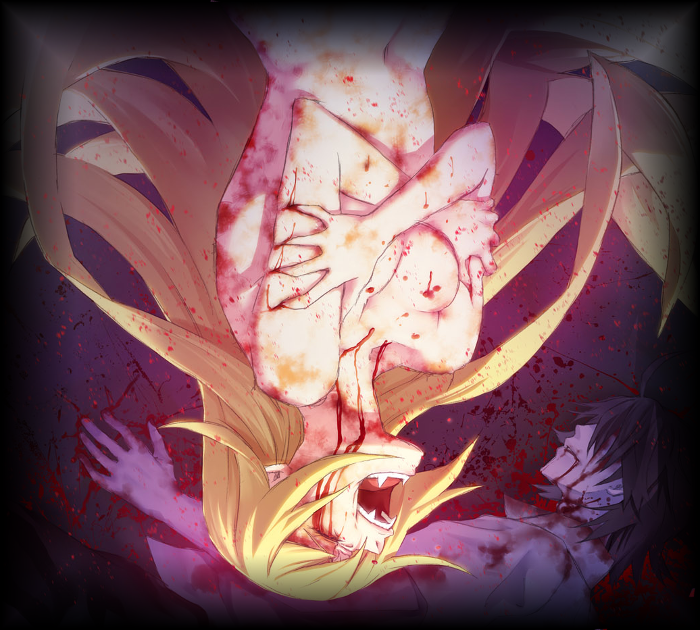 Personality: During the Grimm invasion of Vale, Aurelia had been seriously wounded and was essentially dead for several minutes before they were able to revive her. Since that day, she seems to regard her ‘false death’ as real in some way, saying that after that day, she has "merely been living a dream". Aurelia’s attitude of living in a "dream-like" existence is displayed by her careless behavior and her nonchalant attitude towards dangerous or outright fatal situations. She maintains a tough exterior because of the profession she has chosen. She gets a thrill out of being desired, but at the same time uses that desire that she inspires in others to take advantage of them for money, food, or other niceties. When she feels like drinking(Her favorite pastime), she finds free people and invites them to come out with her, and then has them treat her to drinks, so that she wouldn't have to spend any money. When she is not working or practicing martial arts, Aurelia is very laid back and lackadaisical, often a source of consternation for her teammates and teachers. She could be seen as being somewhat promiscuous, seeing nothing wrong with premarital or illicit relationships. After what Vale has been through, they could use the baby boom as she would say. -Ambidextrous: Aurelia is equally adept at completing tasks with her left hand as she is with her right. -Hand-to-Hand Combat: Though she could use a weapon efficiently enough, she isn’t a master of any and prefers to use her hands to get down and dirty. Being at a slight disadvantages compared to bladed or heavy blunt weapons, allot of her time goes into her martial arts. -A Tease: Aurelia can be quiet the tease, flirting with many but rarely going any further down that road. She enjoys being wanted, but rarely goes any further than that. Nerazim & Kalai - Not so much weapons as a true milestone in Revenant technology. Nerazim and Kalai are a set gauntlets/greaves that in the hands of Aurelia, are great weapons. At the base of each piece of armor is an auric amplification chamber. Though only covering a small radius, each chamber intensifies the users aura around their arms and legs achieving varied effects. The effected aura has a hardened effect, increasing the impact of Aurelia's strikes while giving her limbs increased protection. This allows her to block projectiles and physical weapons bare handed while maintaining an offensive strength capable of creating craters and demolishing buildings. When combined with dust, the effected aura enters the visible spectrum, encasing the effected limbs in the element used, adding a variety of effects to her attacks. Lighting adding a shocking effect, fire burn effect, etc. Kalai - They appear as large, thick bracelets at first with decorative gold band with fine inlay designs. When activated, the bracelet telescopes out, covering her hands and forearms up to her elbow. Dust crystals can be loaded into the gauntlets, adding effects to her melee attacks and can be consumed at varying lengths to faire off ranged attacks, such as fireballs and lightning bolts. Nerazim - Though not as decorative, Nerazim is a pair of armored black boots. Aside from the slight armor it adds to her feet, the only thing special about them are the auric amplification chambers located in them. Projectile Form: With dust crystals, Kalai can fire off different elemental based attacks. Battle Meditation: Battle Meditation allows Aurelia to form an auric link with her teammates and/or people of her choosing who have a developed Aura. Through use of her semblance, she can increase her and her allies morale, stamina, unit cohesion, and overall battle prowess. It links the minds of those connected, allowing them to function essentially as a single entity. They share everything from their senses, unique skills, battle knowledge, and allow them to communicate instantly without the need for physical communication. For each person connected to Aurelia, her physical strength is increased proportionately.